Custom aluminum truss fabrication. Let us create the perfect solution. Our aluminum truss and trussing products can be fabricated into just about anything you can imagine. Any shape, size or design you require, we do custom truss fabrication. All our products are fabricated with the best materials and professionally crafted to provided a lifetime of operation. Attractive aluminum trussing has fast become the “look” and style most craved by industries around the world. Television shows dress sets and stages with aluminum truss to give that high tech state of the art feel. It’s modern, easy to re configure and strong. Custom curved truss and single tube elements can add exciting and functional properties to help get a branding message across or provide mounting for AV equipment such as LCD and Plasma TV screens. We don’t charge huge premiums to make it the way you want it. Custom fabricated truss is our standard and we are happy to create exactly what you need. If it’s an exact length or angle we can do it quickly and inexpensively. Don’t compromise or settle for off the shelf truss kits if it’s not exactly what you need. Custom truss fabrication for exhibition exhibits and display booth for convention halls and conferences. We can create anything you can imagine out aluminum. Exhibit and Display Truss in partnership with Light Design Systems are two of the nations best fabricators of custom aluminum truss displays and trade show display kits for convention booths, trade show booths, presentations, exhibits and retail environments. Shop online and browse our website for modular trade show booths, tradeshow booth kits and convention hall exhibits. See our online glossary of terms used in the Trade Show Display and Exhibit Industry. 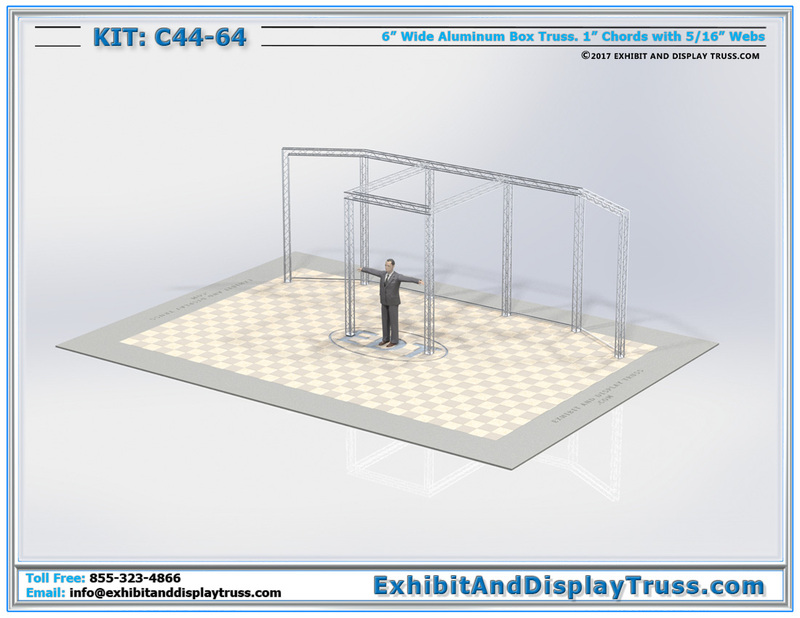 EDT makes strong, light weight and attractive portable truss exhibits as well as many other display elements that include entrances, truss exits, customer service kiosks and custom tradeshow booths for virtually every industry and service provider. With a wide range of capabilities and functionality these lightweight, structural modular truss systems create the perfect custom metal framing system and or prefabricated truss displays. We design, manufacture, distribute and ship daily across the USA and Canada some of the most modern and exciting inexpensive trade show exhibits and truss kits in the country. Exhibit and Display Truss custom truss displays can incorporate custom angles, precision curves and just about anything you can imagine to make your custom truss display or tradeshow exhibit booth a one of a kind. Mix and match smaller truss frames and banner stands to create a large foot print with many decorative truss props. Stage lighting and other trussing can be used to tie it all together into a huge display booth with a common theme. Contact us to help create your custom truss fabricated display booth. We can create everything and anything. 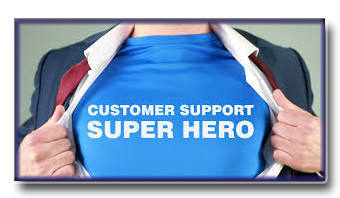 Just let us know how we can help. Click image for help. We’ll work hard to earn your business and your trust. Let us assist.